Choose a fact sheet category below. A global information system with all you ever wanted to know about fishes. FishBase is a relational database with information to cater to different professionals such as research scientists, fisheries managers, zoologists and many more. FishBase includes 33200 Species, 306300 Common names, 56500 Pictures, 52400 References, and 2220 Collaborators. Sentience is about the inner life of an animal, and a sentient animal has capacity to suffer fear, pain or distress as well as a sense of well-being. 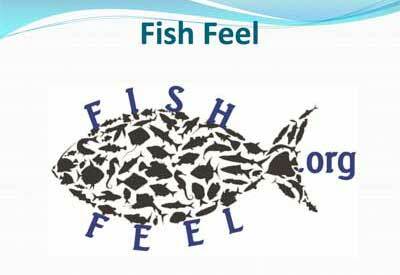 Evidence that fish are sentient has been sufficient to achieve international recognition that their welfare matters. A vegetarian spares the lives of a certain number of animals each time he or she chooses to forgo meat for vegetables, fruits, grains, legumes and nuts. Suffering is caused to fish throughout the process of capture until death, which may be considered as 3 parts: capture, landing and the time between landing and death. 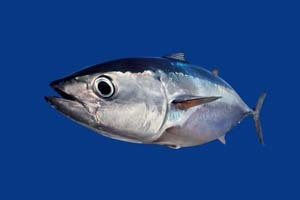 The suffering caused to fish during capture and landing in the major methods of fishing is discussed. Animal welfare matters. All sentient animals used for food deserve compassion, and killing should be as humane as possible. Commercially-caught wild fish suffer slow and distressing deaths in huge numbers, estimated at 1-3 trillion each year. Commercial fishing is therefore a major animal welfare issue. Fishermen use a wide range of gear to land their catch. Every type has its own effects on the ocean. Inhumane methods of fish slaughter are still widespread, if not predominant, in the EU and elsewhere. The traditional method for killing farmed fish is to allow them to asphyxiate in air or on ice, which is slow and distressing. There is now good evidence that crustaceans can experience pain, argues Professor Robert Elwood of Queens University, Belfast. Pain in crustaceans is an important area of animal welfare research. Animals who have been killed for food this year in the United States. More than 100 countries around the world rely on healthy coral reefs for income, food, storm protection, and more. Protection of coral reefs has become an important issue for policy makers and governments, especially ministries of tourism, environment, and fisheries. Delicious, healthful vegan seafood is increasingly popular and available. Convenient and affordable, it is also better for our health, for the animals, and for the planet. Here are some resources to help you find and enjoy this wonderful food. Please click on the image above, print the PDF, and use for tabling, etc. Thank you.